After 3072 miles and 158 days, Laird and Robin Monahan will end their historic “Walk Across America for Democracy” by crossing the Potomac River into Washington, DC, and rallying with supporters in front of the Lincoln Memorial and the U.S. Capitol Building. Here's the schedule--we'll be updating you on speakers, so keep an eye on the blog or subscribe to our email list. 10:00am: Meet Laird and Robin and walk with them to the Lincoln Memorial. Starting point: The Women in Military Service for America Memorial at the entrance to Arlington National Cemetery near the Arlington Metro stop. On May 16, Laird and Robin Monahan left San Francisco to walk across America to educate people and protest the January 21st Supreme Court decision by 5 unelected Justices in Citizens United decision that overturned decades of campaign finance legislation passed democratically by Congress and state legislatures and upheld by prior Supreme Court rulings. For them letters and phone calls were no longer sufficient. 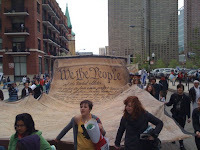 They have taken their message to people and communities across the country that a Constitutional amendment to deny corporations “personhood” and all constitutional rights is vital to restore democracy and assert the inalienable human right of We the People. Join them and citizens coming together to speak out against excessive influence of corporations inn our elections and government policies. 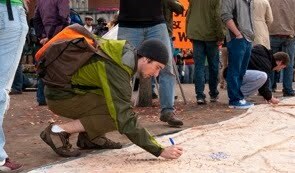 Come sign the Preamble to the Constitution.” Help carry it up The Mall to the Capitol Building and the U.S. Supreme Court. Bring your own signs. Let’s make it clear. 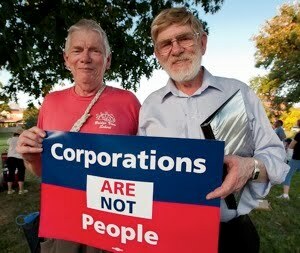 Corporations are legal entities, not persons with constitutional rights. Money is not speech. The Monahans walk in the footsteps of Doris “Granny D” Haddock. At age 90 she walked into DC on February 29, 2000 after a cross-country trek that brought national attention to the corrosive effect of big-money contributions on democracy and the need for substantive campaign finance reform. “Granny D” is credited with galvanizing public support that helped Congress pass the Bipartisan Campaign Reform Act of 2002 (McCain-Feingold) which the Supreme Court, now eight years later, overturned with the Citizens United decision! The Monahan’s march may be almost over, but our’s is just getting started. What can you do? Join us in DC to focus attention on our next Constitutional amendment—one that ends corporate personhood and corporate constitutional rights and reserves First Amendment free speech rights for humans, not corporations. If you’re not near Washington, forward this email to family, friends and colleagues in the DC area who could attend. And wherever you are, educate and agitate. Download material on corporate personhood from the Alliance website—see the articles from our Justice Rising issue on “Courts and Corporations vs. Our Common Good” and our “Corporations Are Not People” brochure. Order a bumpersticker! They're on our website. 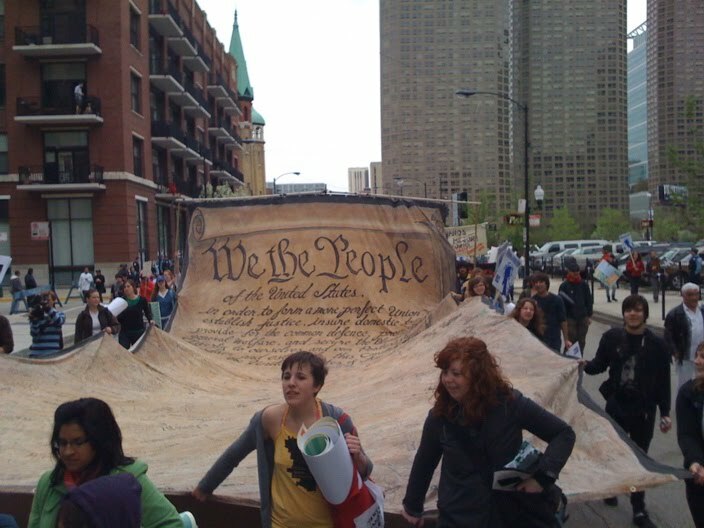 Check out WILPF’s Corporations vs. Democracy Study Guide or resources on this page of the Move to Amend site. Bring speakers or trainers from Move to Amend or the Alliance for Democracy to rally support in your community to pass local and state resolutions to abolish corporate personhood and support constitutional amendment. See a sample resolution here.